Though the Apps store is not available in the new iTunes, you may still find that the “Mobile Applications” folder is still occupied by huge space. The truth is that, iTunes just removes the entrance of app, but it doesn’t remove any data from your computer. That’s why you can still find your previously-downloaded apps on your computer. However, those app files are not useless for you because you can’t move it to your iPhone or other iOS devices. So don’t let your computer space eaten by such useless files! You can easily remove it and any other useless or junk files from iTunes to make iTunes and your computer clean and run at optimum. All without breaking a sweat. What’s Stored in Mobile Application Folder? iTunes has the capacity to occupy annoyingly large amounts of space on your device. It usually does this by saving a lot of useless files like logs, cache and other unneeded files. 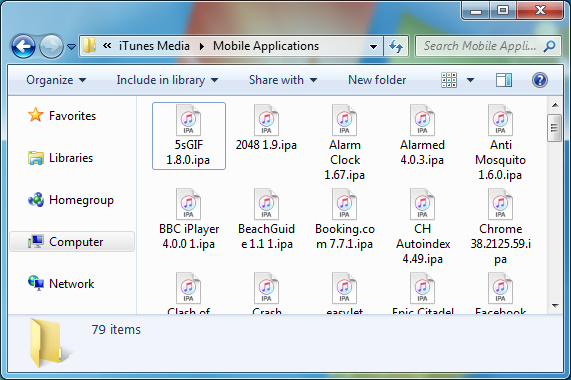 Your mobile apps folder contain the app installation files which you downloaded from App Store in iTunes. These files may be useful for you in the old iTunes, but there are pretty much useless to you in the new iTunes. Do you need to go through all the stress of manually searching for your mobile apps folder and deleting the junk one by one? Do you have to run the risk of deleting some necessary files? We don’t think so. You can save yourself all this stress by taking advantage of the iMyFone TunesFix app. TunesFix is a revolutionary iTunes cleaner that can make your iTunes clean and run at optimum. You don’t have to lament about iTunes space gobbling data. Besides, TunesFix is also an iTunes repair tool, specialized in fixing any known or unknown iTunes errors and issues. TunesFix has 7 unique features that can help you efficiently manage your iTunes. 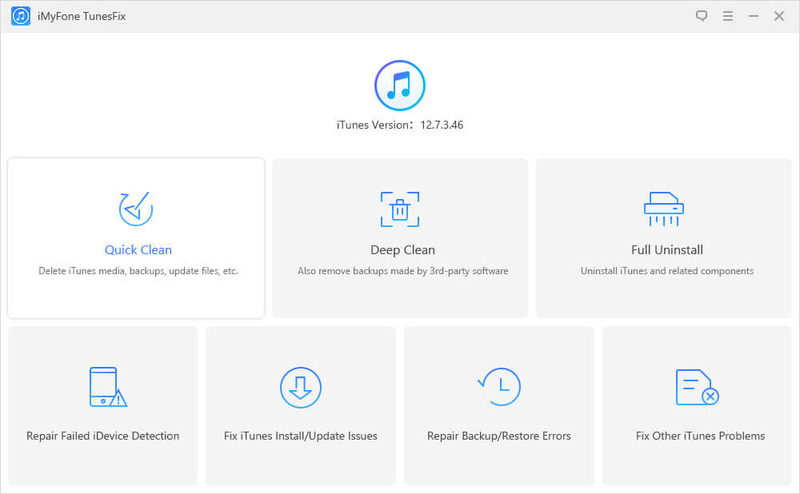 These features include: Deep Clean, Quick Clean, Full Uninstall, Repair Failed iDevice Detection, Fix iTunes Install/Update Issues, Repair Backup/Restore Errors and Fix Other iTunes Problems. The Quick Clean and Deep Clean features are particularly useful for decongesting your mobile apps folder. 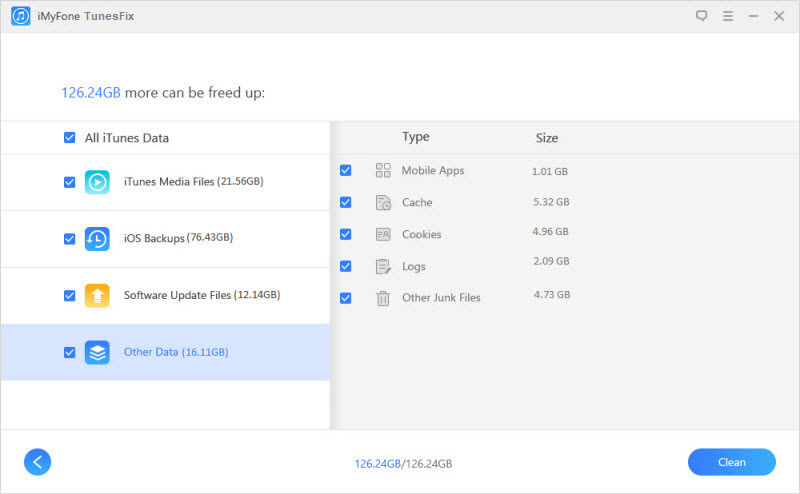 With these features, you can delete media files, old backups, software updates and other data like mobile apps. Step 1: Launch iMyFone TunesFix. The app will automatically detect your iTunes and related software components. If your iTunes is damaged, TunesFix will help you repair the errors. Step 2: If your iTunes is in good shape or after effecting repairs, you will be directed to the home interface. Click on “Quick Clean” and let it scan your iTunes. Note: If you need to remove old iOS backups made by third-party software, choose “Deep Clean” mode. Step 3: When it is done scanning, it will show all the iTunes files on your device. Check “Mobile Apps” in “Other Data” category (check other unwanted files as well) and click “Clean”. iMyFone TunesFix will start to clean your device and when it is done, you will see how much space has been freed. It is possible to manually get rid of the junk in your iTunes mobile application folder. Although, in order to do this, you would need to know your way around your device and its directories. Once the folder is opened, you can then select the mobile apps you want to delete and erase them manually. You shouldn’t have any worries though if you know your way around your device and its directories. Don’t give up your device space to worthless files anymore. Get the iMyFone TunesFix app and let it give you all the space you desire.